As a member of Seattle Opera's Young Artists Program, Megan Hart has played several exciting roles over the past couple years, including Tytania in A Midsummer Night’s Dream, Nella/Lauretta in Gianni Schicchi, and Tatyana in an adaptation of Eugene Onegin. 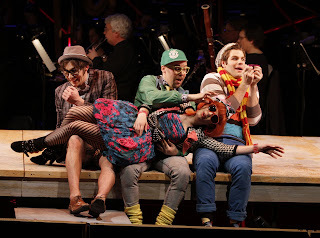 This spring she adds one of the most challenging coloratura roles to her repertoire: Zerbinetta in Ariadne auf Naxos. Each man appears like a god to me. His very step makes me mute. and I am captive, mute! 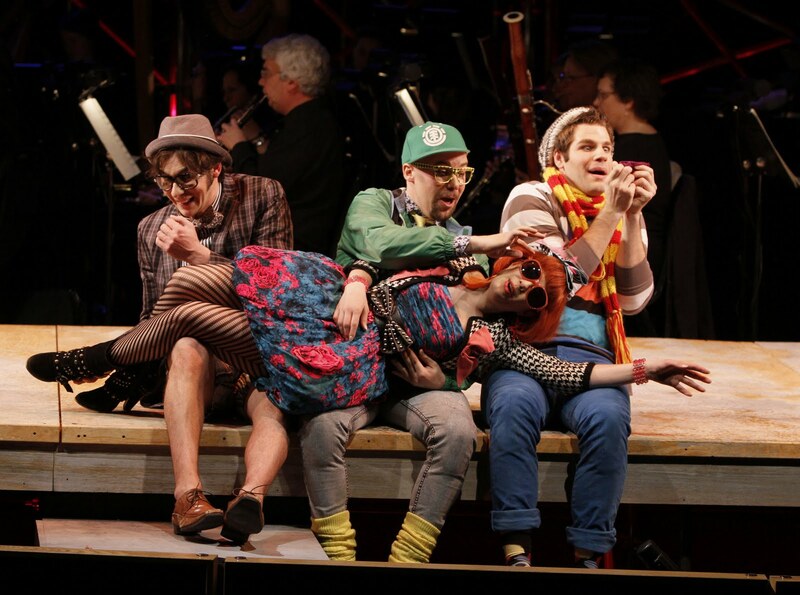 Photos: Megan Hart as Zerbinetta; Megan with Bray Wilkins, Alex Mansoori, and Erik Anstine in Ariadne auf Naxos. © Chris Bennion.